37 years and counting. 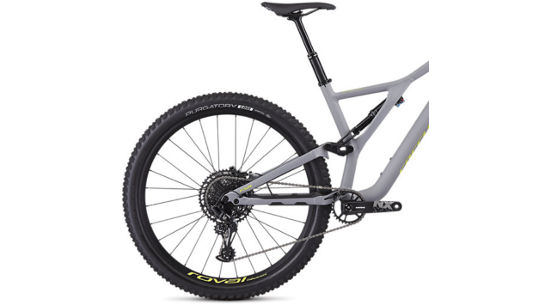 The Specialized Stumpjumper became the first production Mountain Bike and is as revolutionary in this year's release as it was in 1981 and still, the go-to full-suspension Mountain Bike at the TriStore. Specialized have completely redesigned the frame, building the Comp edition with M5 aluminium, Specialized's highest grade of aluminium. The new asymmetrical frame shape is designed to provide an exceptional level of stiffness. Frame strength is improved with the two triangle design that helps to improve the natural feel of the trail. You will find 150mm of travel at the front provided through the Fox 34 rhythm fork which helps to boost handling and adjustability, ready for whatever your route has to throw at you. 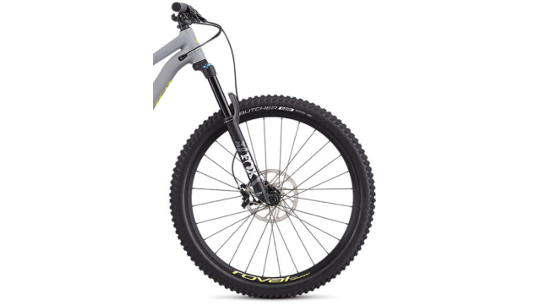 The 27.5" wheel design improves the feel between you and the trail that provides a unique feel. 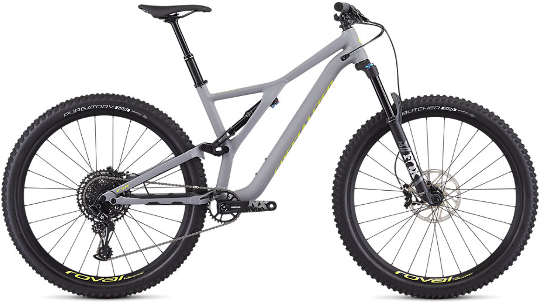 Specialized simply continue the MTB revolution. Finally, Specialized have revamped the Stumpjumpers drivetrain kitting it out with the latest 12-speed SRAM NX Eagle groupset which ensures you can go further, faster and higher than ever before. Front Tyre - Butcher, GRID casing, GRIPTON® compound, 2Bliss Ready, 27.5x2.6"
Rear Tyre - Purgatory, GRID casing, GRIPTON® compound, 2Bliss ready, 27.5x2.6"